In October 2016 my husband experienced a mini-stroke. We were traveling in our motorhome at the time, camped near Utah’s Capitol Reef National Park. While Marty’s 5-minute episode didn’t leave any outward signs of damage, we knew that inside, something was wrong. “You should consider adopting a plant-based diet,” his doctor said. We did. And the journey has reopened my love affair with plants. Since I’m writing this at the cusp of a new year, I came up with a list of resolutions. They have a garden theme. Forgive me. I’ve written a weekly garden column for 20+ years. Now if you’re not a plant-hugger, don’t click away from this post, because what I have to say may improve–or even save–your life. “If we don’t change our mind, we’ll never move our behind.” ~Dr. Terry Mason, Commissioner of the Chicago Department of Public Health. (A fabulous and inspirational speaker, Dr. Mason champions a holistic approach to health. Watch one of his presentations here). Rake leaves as if you’re Dancing With the Plants. Or think of your shovel as your new dumbbell. What’s up with this? According to the CDC’s (Centers for Disease Control and Prevention) article, Gardening Health and Safety Tips, spending just 2.5 hours a week in a moderately intensive activity, such as gardening, ca n reduce your risk for obesity, high blood pressure, type 2 diabetes, osteoporosis, heart disease, stroke, colon cancer, and premature death. Got it? Start more plants from seed. 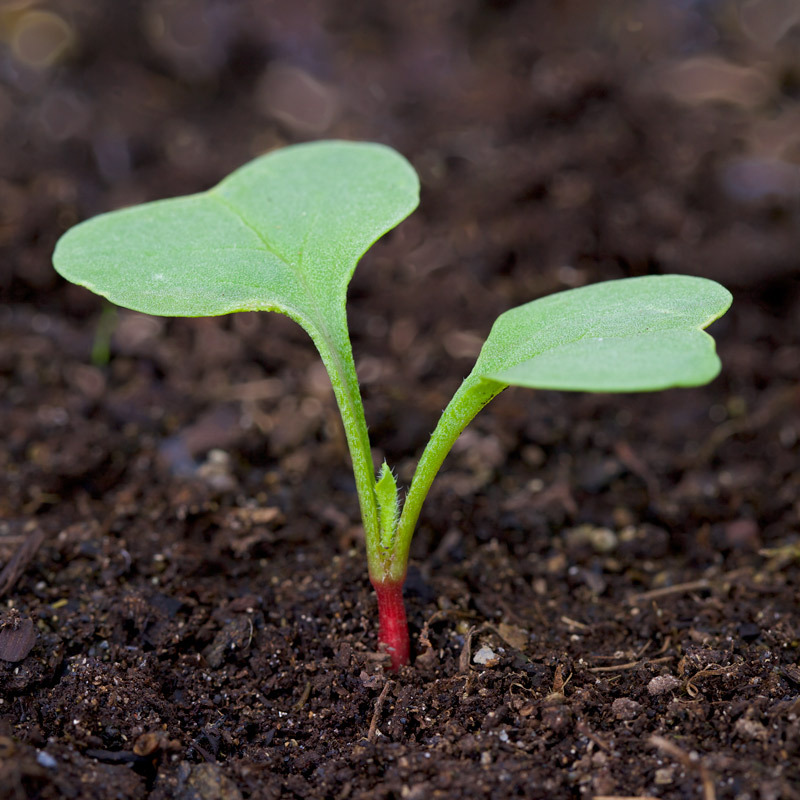 What can be more magical than planting a seed and watching the miracle of new life unfold? Just ask a child. Of course, there are practical reasons: Saving money, having more varieties to choose from, getting a jump on the growing season. (My favorite seed catalogs for cool climate gardening include: Johnny’s Selected Seeds, Fedco, Territorial Seeds). The other beauty about gardening… is that it can be done by people almost any age or ability. Similar to caring for a goldfish, caring for a plant can teach a young child responsibility (as well as a bit about science, nature, and nutrition, if the plant is also a food). Please donate more vegetables to your local food bank. Or volunteer. Many food banks accept financial contributions and assistance in sorting, packaging, and distributing food. Beautify the world with more flowers. Many crops, from almonds to zucchini, need pollinators to bear fruit. And it is scientifically proven that gardening lifts the spirit and wards off depression: it is difficult not to enjoy life when surrounded by flowers. When I was co-authoring Chicken Soup for the Gardener’s Soul, this theme came up time and time again in the thousands of stories submitted for the New York Times bestseller. Enjoy more homegrown food. Nothing nourishes the body, tastebuds, and soul like tasty and healthy food that you grew yourself. Whether you add a new raised bed to grow vegetables, cultivate salad greens in a half whiskey barrel, or lease a community garden plot, resolve to enjoy a bigger harvest this year. Employ more natural solutions to manage pests. 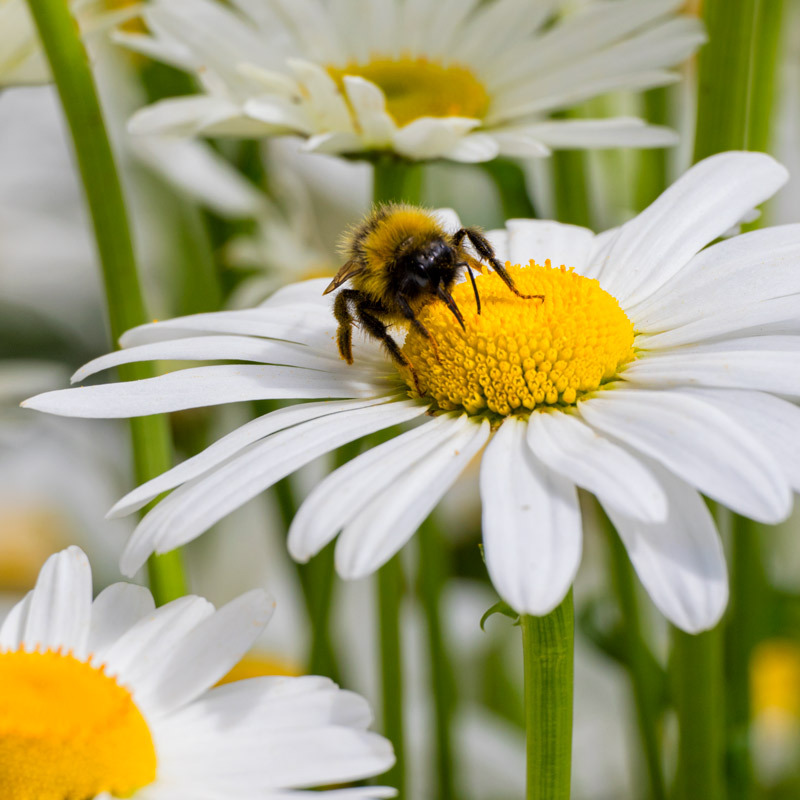 Get to know the various pests that frequent your garden, then take steps to deflect problems before you support conglomerates like Monsanto by reaching for the toxic synthetic pesticides. Better to use earth-friendly products that are safe for people, pets, birds, and other creatures. Build your plants’ defenses, and yours. (I’ll explain in a moment). Pests are more likely to attack weak plants. Sickly plants aren’t just the result of too much or too little water. Tests show that plants fed a high-nitrogen fertilizer such as Miracle-Gro develop weak, juicy stems that attract more pests (aphids!) that plants raised using organic methods. 7 hours of sleep per night will make you less likely to get sick. You are 32 percent less likely to catch a cold if you give and receive hugs frequently, thanks to their stress-busting effect. 40 minutes a day of moderately intense exercise, like a brisk walk, can cut your risk of cold and flu in half. Meditate every day and you could slash your chances of coming down with a cold by 76 percent. Take better care of indoor plants. It’s the least we can do for the greenery that graciously brightens the interiors of our homes, hospitals, and offices. Memorize the names of more wildflowers. After a little practice, they will become familiar friends along trails, roads, parks, and forests. Collect kitchen scraps for making compost or vegetable broth. “Compost,” says New York Times garden columnist Leslie Land, “is the all-purpose answer to everything.” Vegetable trimmings, thrown in a pot of water, makes an excellent, nutrient-rich soup stock. Allow nature to soothe and rejuvenate by spending more time in the garden. In our hectic world, it’s too easy to think of gardening as just another task on the to-do list. 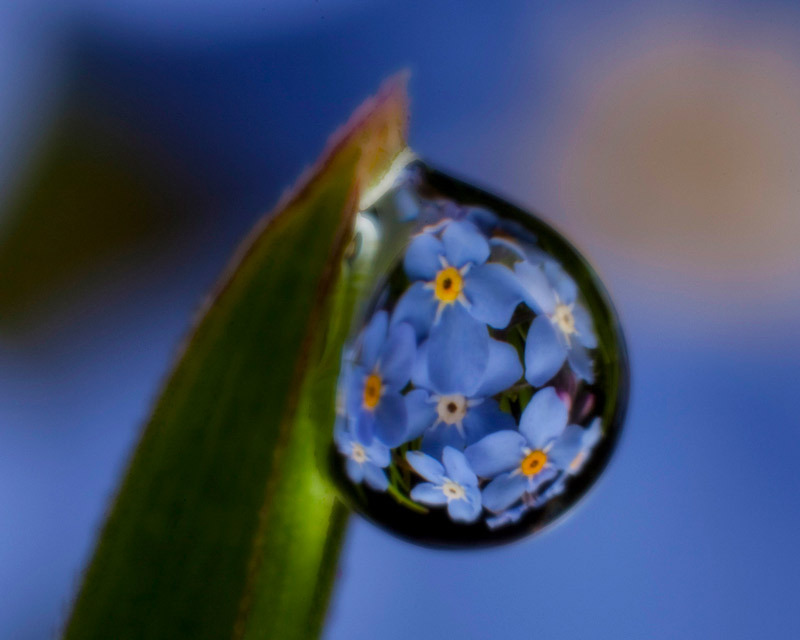 As corny as it may sound, take time to smell a rose or observe nature’s beauty in a tiny dewdrop. Embrace your own people-plant connection. Why are our spirits so uplifted by flowers? What compels us to behave like lemmings, massing along roads and hiking trails to immerse ourselves in nature? And what draws us so powerfully to savor scenic overlooks? (Highway engineers and national park planners acknowledge this urge). Our ties to the natural world of plants are subtle and often overlooked. Meanwhile, back in our motorhome. It was Saturday, October 22, and we’d just finished dinner when Marty had his mini-stroke. He was on the phone, talking with his daughter when suddenly he couldn’t form words. We were 40 miles from the nearest hospital in Richfield, Utah. At dawn, we broke camp and starting driving. We didn’t talk much, really. Just listened to peaceful music on the radio and let the views of rolling pastures and sparkling lakes soothe our concerns for the future. Marty’s mini-stroke was a wake-up call in many ways. For example, I’ve had to learn how to cook all over again. But that’s another story. And although I’ve been a master gardener, teacher, and garden writer for many years, what happened in October changed my view, my appreciation, of plants. Did you know that chlorophyll and hemoglobin bear a striking similarity in structure? Ah, that’s yet another story. I hope this blog post changes how you think about plants and gardening, too. 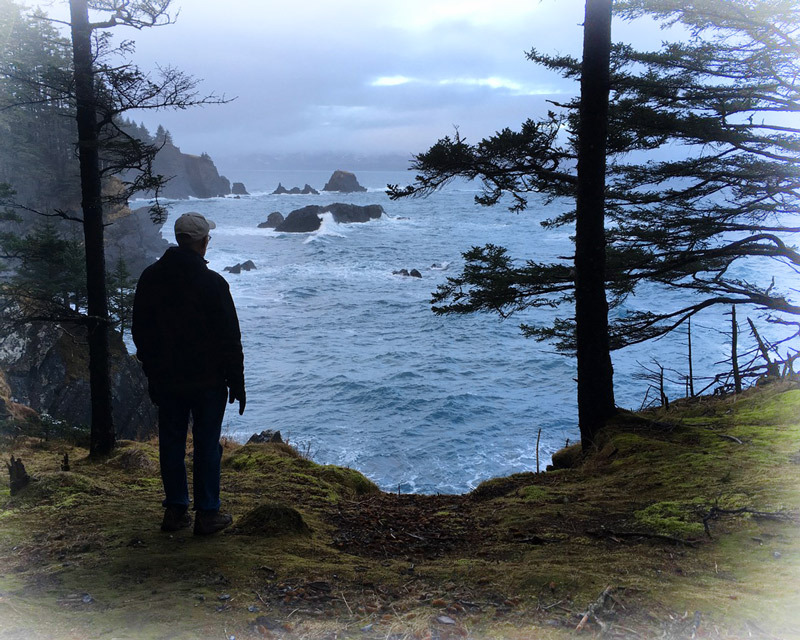 After returning to Kodiak Island, Marty and I went for a hike to watch storm waves crash against the rocks. It felt good to be home. Wonderful post! I’m all for what you’ve said. If you find time I think you would enjoy listening to Krista Tippett’s ‘On Being’ podcast conversation with Gordon Hempton, Silence and the Presence of Everything, Dec. 29,’16. I hope the spirit of peace and good health surrounds you and your husband. Happy 2017! I am so glad that you got to keep your Marty by your side for a while longer and I agree with you about everything you said. Hi Linda… and thanks. It seems like we appreciate every day a bit more; time might feel like it’s speeding up, but if I focus on the present moment I get more out of it. Hugs to you! 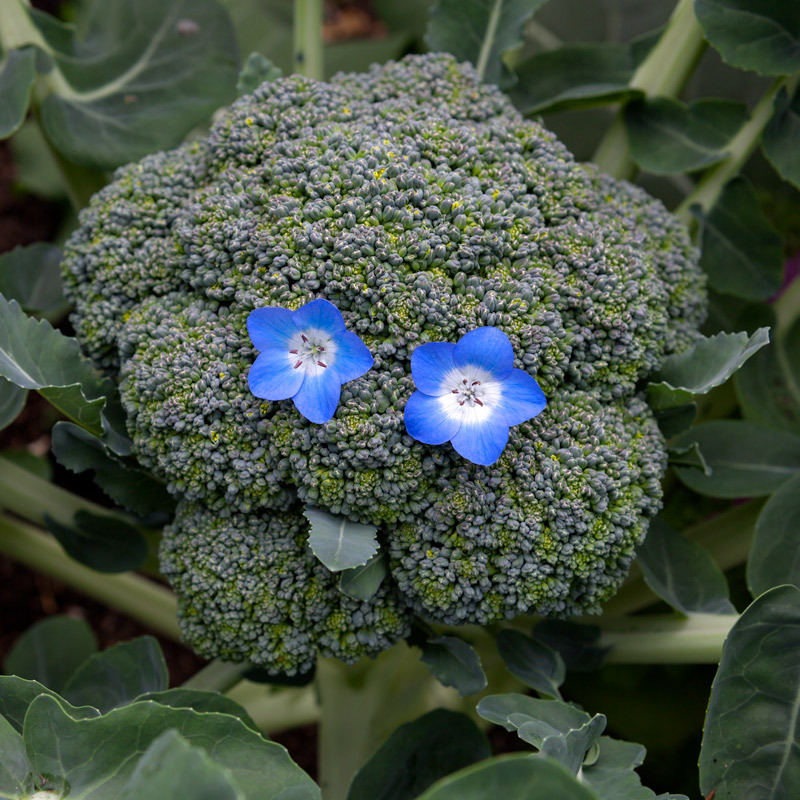 Love the broccoli face!! Completely agree with your suggestions on cool climate catalogs and have ordered from them. I grow lots of flowers and now the juncos are enjoying the seed heads of the black-eyed Susans. Hoping 2017 is your best year yet! Looking forward to more great photos and words of wisdom. Enjoy today, it is a gift, that is why they call it the present. M.
Ah yes, Melissa! Today is certainly a gift. You are right. I just sent my seed orders in — wonderful way to celebrate the dawn of 2017! Thank you for sharing your story and beautiful photos Marion. So inspiring in the activities you mentioned as well as the importance of the “big quiet” — being at peace in nature. All the very best to you and Marty during the New Year. And thank you for being such a dear, dear friend… Love to you and Bob. Keith and I were in the same parks in the fall of 2015, Marion. Loved seeing them and Yellowstone for the first time. Thankful all is well with Marty. Many good wishes for the New Year for you both. Thank you again for your thoughts and photos….always a bright spot. Thank you too, Candy, and we’ll return to Utah, I’m sure. 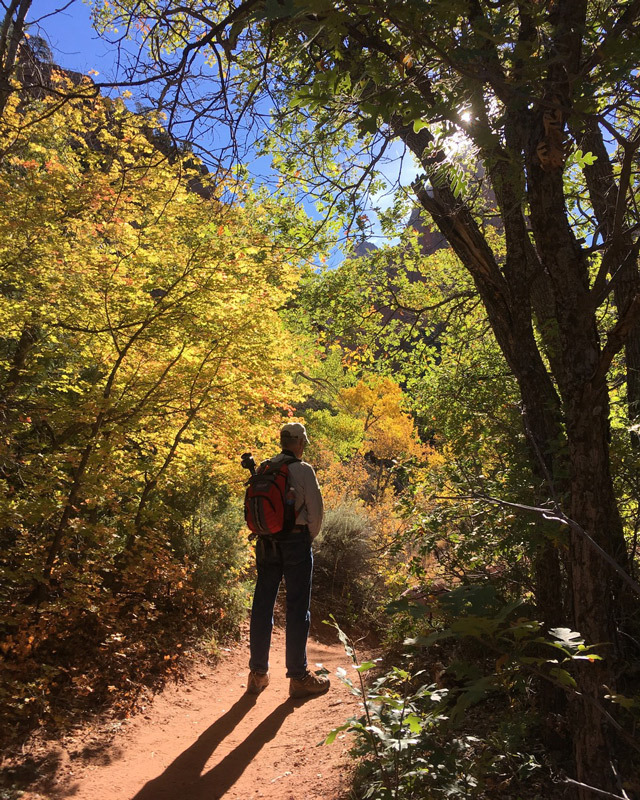 At least to re-visit Capitol Reef since we aborted our last visit. May during the spring when the orchard is in bloom. I love your post,and the pictures, thank you for sharing. We wish you and Marty a healthy and Happy New Year. A warm (except I’d like some snowflakes to photograph) and happy new year to you, Colleen. Thank you so much for your comment. God bless you both, Marion, and thanks for your sensible advice. While long term goals encourage us to “move our behind” it’s important to enjoy each day of the journey. That’s where true treasures lie. Happy new year.